Starting to Race – informal, with a large dose of old-salt! Start by turning up on a race day – or evening! Get hold of a crew – almost anyone will do! At Haversham there is sometimes a notice up about crews wanted. Or, if really insane, sail with brother, sister, partner, friend! Sailing set courses depend entirely on the wind direction, and the whim of the Race Officer! At Haversham the Race Officer is helped by a useful menu of courses, a copy of which can be found in the RO's silver briefcase. Or download one here. 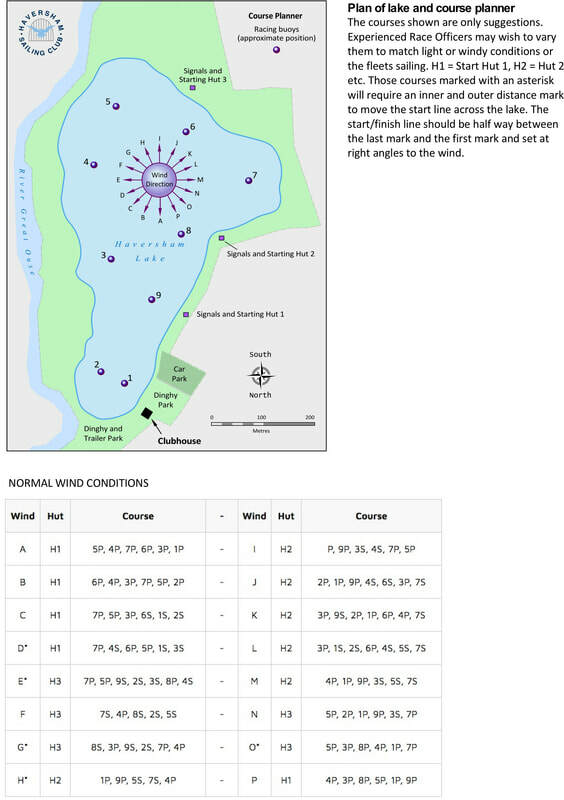 Be aware that at Haversham the wind direction can be totally different in a least five different places on the lake – just think how easy it will be when you go to sea! Put a burgee on top of your mast. 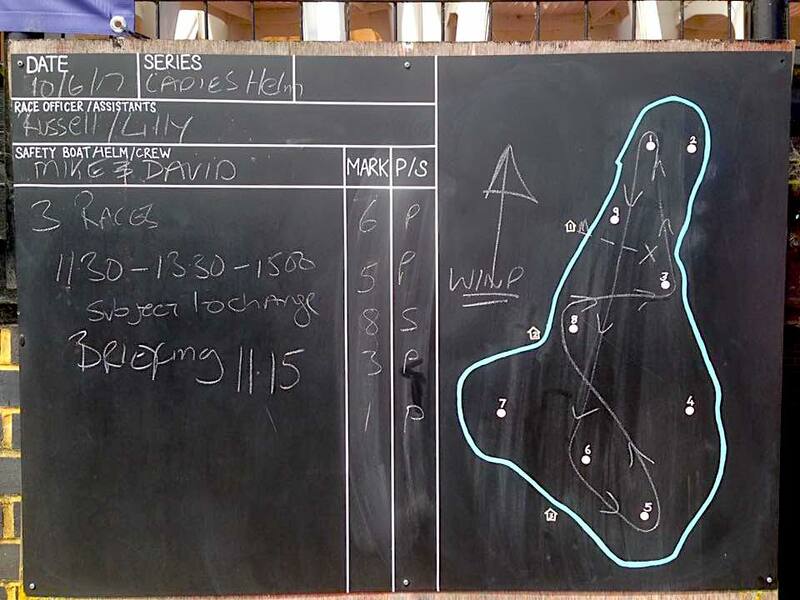 Details of the race course chosen are marked on the blackboard showing the outline of the lake and the approximate position of the marker buoys – numbered 1-9. At HSC yellow marker buoys usually indicate the end and or beginning of the starting line – these are also lined up with mast where the starting flags are displayed. At HSC there are three starting huts and which one is used depends on the wind direction – and how far the Race Officer feels like walking! On nearly all occasions races start into the wind - wet your finger and stick it up, in the air – careful where you do this – best near the shore line, or out of sight of the Clubhouse! Will begin with a beat into the wind and the start line will usually be laid at right angles to the wind. The Race Officers will display coloured flags to indicate starting times and display the course in numbers on the starting hut. 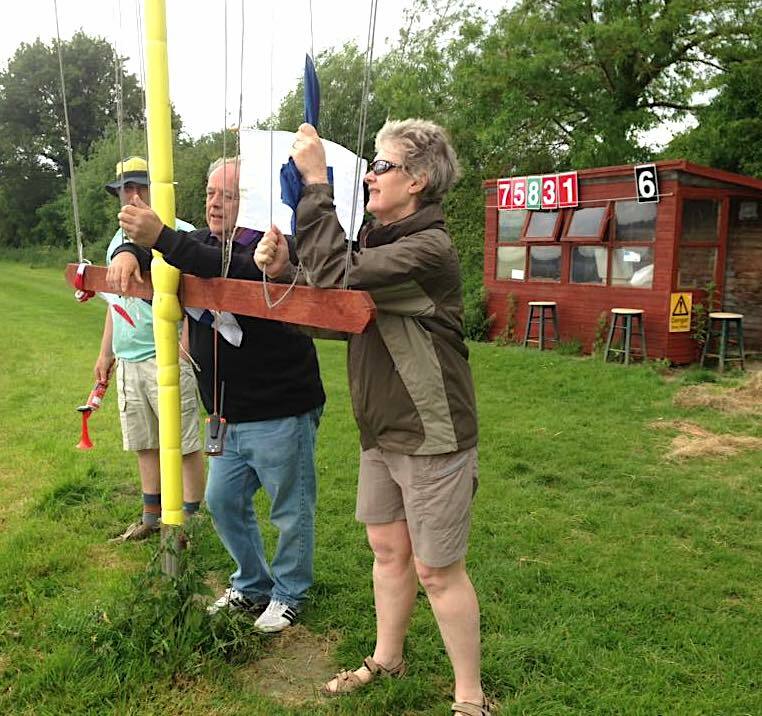 The numbers may also be on the blackboard back at the clubhouse – but beware, these may change, so always check when you first sail up to the line and have a look at the numbers by or on the starting hut. The numbers will either be white on red or green which indicates which side of that numbered buoy you should leave it as you sail round ie red to port (left), green to starboard (right). As always in sailing there are exceptions – the numbers may also be in black and white - but these are not buoys, instead they may indicate number of laps. An 'X' on the course indicates that you must cross through the starting line each time you complete a lap. The countdown to the start is reflected in which flag or combination of flags is up or down. The flags, not the sound of the hooter or bell, indicates the exact instruction moment. Unless otherwise instructed there will be a warning signal (at HSC both a flag and a sound) before the start, followed by a preparatory signal and a one minute signal and then the starting signal. If there are say two starts together for different class fleets you need to know your class flag as well so that you join the correct sequence. During the race – when you first start racing just hang back from the main group at the beginning and be content with following procedures, keeping out of the way and generally keep safe. Enjoy following the main fleet around and then try to catch them up! I've done this for years! Always bring along a strong voice for the occasion! A few choice expressions always go down well – i.e. Starboard! Water on the bank!, I'm a Wayfarer – give way!, or shout very loudly – I'm a novice! or if all else fails shout, I'm a Wayfarer novice out of control – that should do the trick! Of course the answers and replies you get back might in no way reflect the situation you are in – just give a big smile and say you don't understand French! 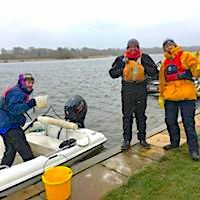 Generally speaking all experienced helms at Haversham will be aware of novices on the water and will try to make allowances. Practise sailing up to an improvised start line until you can hit the line at full speed on the starting signal. In a real race specific rules apply to who has rights of way just before the start – more later. The first leg of any race is the most important – the closer you can eventually get and keep up with the main fleet, the better overall you will do. Windward starts of course mean close-hauled – so practise that as well. Just because you and your boat don't go as well as some others on a particular leg doesn't mean that on other aspects of sailing you won't do better. And, always remember that just sometimes the gods see fit to just give you the wind when no one else has it – pray a lot! Finally – be nice to the guys who drive the safety boats – one day that drink you bought them for sitting around all day while you were having fun, might just pay off! Based on two pamphlets written by John Spencer called Learning to Sail and Starting to Race.